Edwin Meléndez is a Professor of Urban Policy and Planning at Hunter College and the Director of the Center for Puerto Rican Studies. He has conducted considerable research in the areas of Puerto Rican and Latino studies, economic development, labor markets, and poverty. In addition to numerous scientific papers and other publications, he is the author or editor of thirteen books including State of Puerto Ricans 2017 (Centro Press), Puerto Ricans at the Dawn of the New Millennium (Centro Press, 2014) and Latinos in a Changing Society (Praeger, 2007). Professor Melendez has an extensive record of community and public service, including numerous appointments to government and community boards. Among other local and national organizations, he is a member of the UnidosUS (National Council of la Raza) Board of Directors, and of the National Advisory Board of the John J. Heldrich Center for Workforce Development at Rutgers University. List of Edwin Melendez’s selected publications by type, includes dates and publishers. Please contact Professor Melendez at Edwin.Melendez@hunter.cuny.edu for copies of publications. Annotated bibliography of a selection of Edwin Melendez’s publications and professional reports. Throughout his academic career Dr. Meléndez has promoted a broad range of educational activities germane to the mission of public higher education, including the mentoring and advising of doctoral, master, and undergraduate students; the design of on-line courses; the use of client-based teaching for professional training; and the implementation of professional development programming. Find out more about doctoral, masters and undergraduate courses taught and Supervised Ph.D. Dissertations. 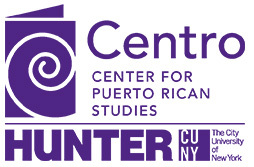 Please contact Professor Melendez at Edwin.Melendez@hunter.cuny.edu for copies of syllabi.